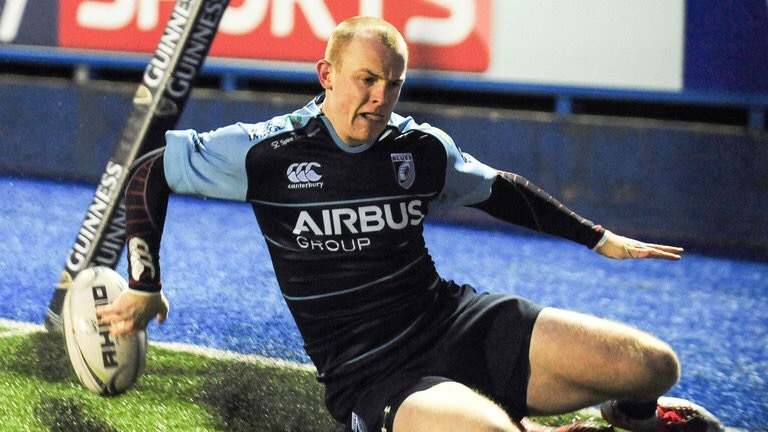 Cardiff got the Six Nations period off to a winning start in a scrappy, low-scoring contest against a pretty poor Edinburgh side. 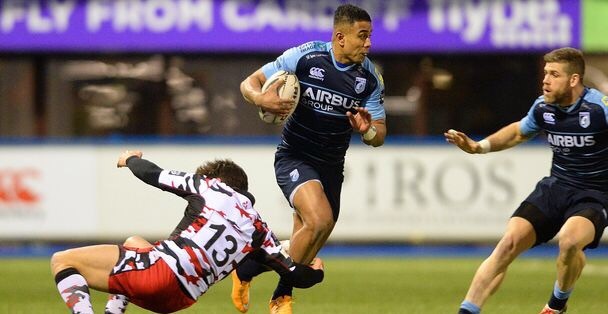 An extremely cold night at the Arms Park was not warmed up by the exciting running rugby we saw last week vs Calvisano as an international call-up hit squad seemed to lack creativity at crucial moments. 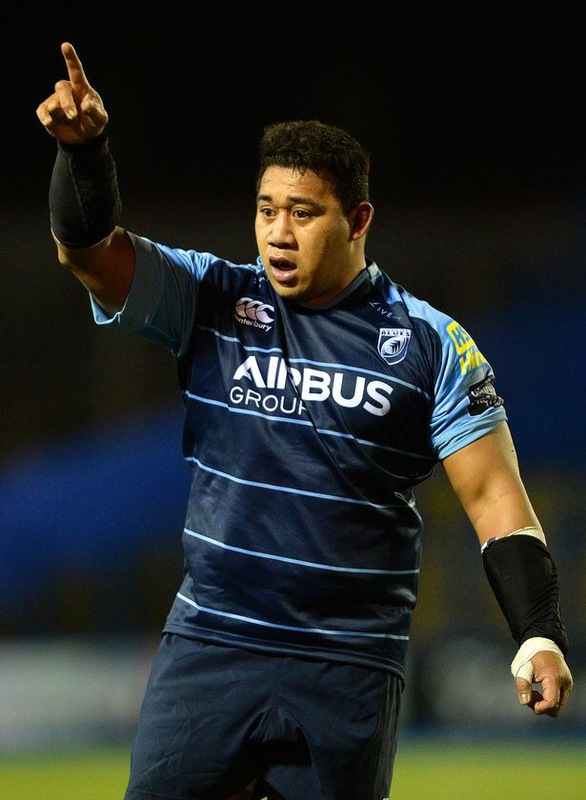 With the ‘Team Wales Nine’ being kept prisoner by Warren Gatland somewhere in the Vale Resort, Danny Wilson turned to his more experienced squad players as Tom Davies, Matthew Rees, Tavis Knoyle, Gavin Evans and Blaine Scully started alongside debutant Salesi Ma’afu. He has, however, put his faith in youth to be around the squad, including Aled Summerhill on the wing, while six of the eight subs were academy graduates. A glowing report on the youth system and pathway, as well as the first season of the A side competing in the British and Irish Cup this year. If you were looking for a dream start on return to Pro12 action, then the ball going from a ruck on the right wing through the hands to the left wing and into the corner is it. As Tavis Knoyle found Tom Davies static at first receiver it didn’t look likely, but Rhys Patchell coming from deep added a bit of pace. The scepticism was back though as Matthew Rees was in the inside centre slot, but fairplay to him, he drew the defender to find Jarrad Hoeata outside him, who did the same to send Aled Summerhill into space. The young winger carried into the 22 before releasing Dan Fish to score after two minutes. Southern Hemisphere running rugby at it’s best. After Patchell kicked a superb conversion the game went end to end as Scully almost went into the corner were it not for a dangerously high tackle, before Salesi Ma’afu conceded his first penalty of the night. Edinburgh didn’t look particularly threatening with ball in hand as they got into our half for the first time though and it was always likely to be us on the scoreboard next. We drove well from the middle of the pitch, but stalled on the edge of their 22. Eventually we got to the redzone and after a number of phases it came down to Manoa Vosawai on the blindside against about six Edinburgh defenders. He was confident but referee Wilkinson went upstairs. It appeared the Italian international may have been driven over at the bottom of the ruck but he was, perhaps harshly, penalised for a double movement. 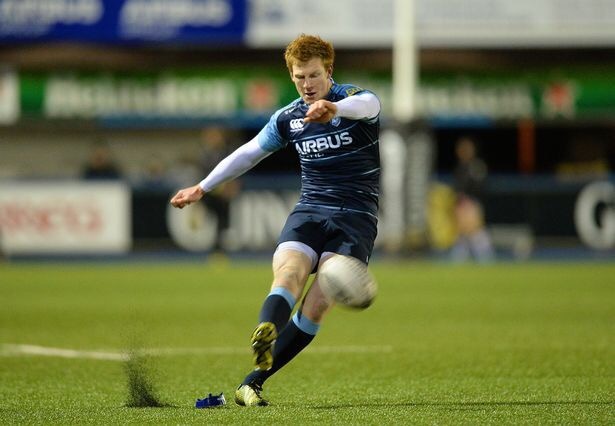 Fortunately an offside penalty a few minutes later was our saviour, and Patchell put us ten points to the good. Edinburgh did get on the scoreboard five minutes later with a penalty of their own to make the score 10-3, and that was kind of it really. After 22 minutes all of the points we would have had been scored. There was nearly some more towards the end of the second half as Patchell had a try ruled out by the narrowest of margins, a little toe, but 10-3 is how it would finish. Ma’afu went off after 50 minutes having scrummaged well and just about avoided the sin bin, while Vosawai had dropped the ball over the line, and there’s the rest of the match in a nutshell. So rather than do a match report on the rest of the game it’s more of an analytical look at the second half and what needs improving over the coming Six Nations weeks. The first thing I would change if I were Danny Wilson is the insistence on giving Rey Lee Lo the ball at first receiver and asking him to make yards on the crash ball. He’s not big enough for that role and it’s too easy to stop him in his tracks, which ends any hope of quick ball as it takes some rucking effort to get the ball back in the first place. It’d be far more productive to use a dummy runner in that position and get our exciting runners like Dan Fish, Aled Summerhill on the ball, and work Patchell to the outside as well. Another point to improve from the backs is kicking and kick-chase. There was a few too many aimless kicks, and definitely too many half-arsed kick-chases allowing Edinburgh time and space. A time like Edinburgh really should not be given space like that, they really were one of the poorest teams I’ve seen this season, playing as bad as their kit. We should’ve beaten them by more. An area to consider for Wilson going forward is the use of the youngsters coming through. If you’ve read my articles this season you’ll know I’m a massive advocate of giving youth a chance, and a big fan of Wilson for doing this, but the mistake on this occasion was using too many in the front row. Now when Dillon Lewis came on for Ma’afu it worked well as Lewis has had a bit of exposure to pro rugby this season, and any mistakes were evened out by Tom Davies’ experience on the other side. But when Davies was replaced by Brad Thyer making his Pro12 debut it meant two young, inexperienced props and the scrum started going backwards at a rate of knots. On the flip side, youngsters in the right positions at the right time can be beneficial, and Jarrod Evans may well be one of them. He looks assured and composed at 10, not afraid to stay at first receiver and organise the attack through his biggest strength, his distribution. He also isn’t someone who kicks the ball at every opportunity, and his decision making is excellent. I’m a very big fan already, but it will be tricky for Wilson and co to balance his development continuing without over-exposing him. Overall, not a classic game by any chance, but a win’s a win at the end of the day. It’s a good start the Six Nations period, and the rest of the season in general as we aim to break the top six by April. Following a well-timed fortnight off its a trip to winless Treviso where we have to be aiming for the bonus point win. Come on Cardff! !